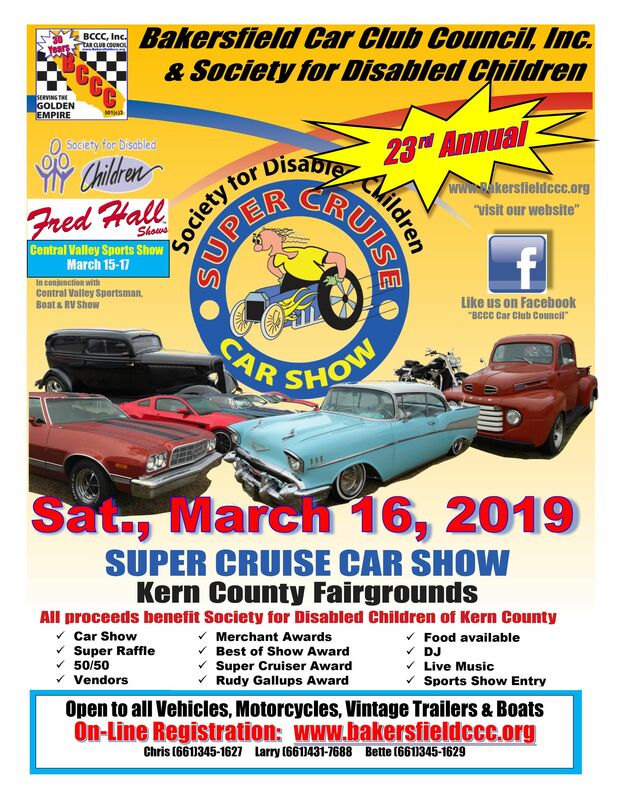 We are invited to attend the Super Cruise Car Show at the Bakersfield Fairgrounds on March 16. A flyer is attached. Please note that all proceeds from the show benefit the Society for Disabled Children of Kern County. The show usually has about 500 cars and is part of the Fred Hall Central Valley Sports Show. This event has been held for over 20 years at the Kern County Fairgrounds. This is a major RV, Boat, and Sportsman show, so it includes many vendors who wish to sell you things that may you want, but may not need. Nevertheless, simply looking at the vendor displays is great fun. This is a rather large car show: mostly hot rods. 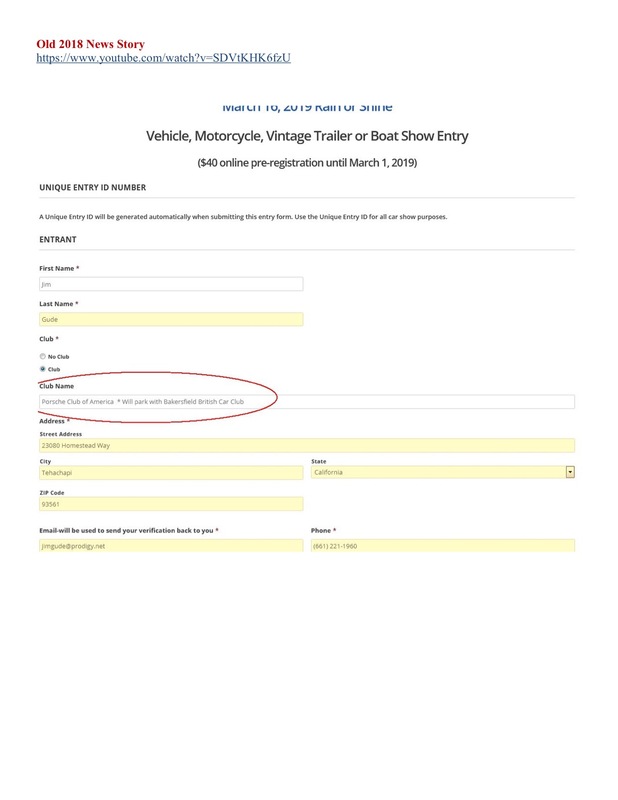 To ensure that we can park together, we will be parking with the Bakersfield British Car Club (BBCC); please note this on the entry form as shown below. I am coordinating with Tom Downs of the BBCC; please let me know if you will be attending, so that I can keep Tom up to date and so we can possibly arrange caravans to the event. Cars must be placed prior to the gates opening at 10:00 AM so we need to arrive by 9:00 AM.